On January 11, 2018, the American Academy of Nursing (AAN) released its position statement in recognition that safe nursing practice requires adequate, high-quality sleep to allow them to contribute to patient care safely. The statement was also published in the November/December 2017 issue of Nursing Outlook. Recognizing the health risks associated with long shifts may help healthcare organizations, including oncology practices, to consider this information when designing their nursing staff schedules. Melnyk BM, Orsolini L, Tan A, et al. 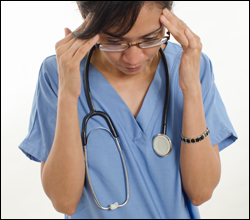 A National study links nurses’ physical and mental health to medical errors and perceived worksite wellness. J Occup Environ Med. 2018;60:126-131.